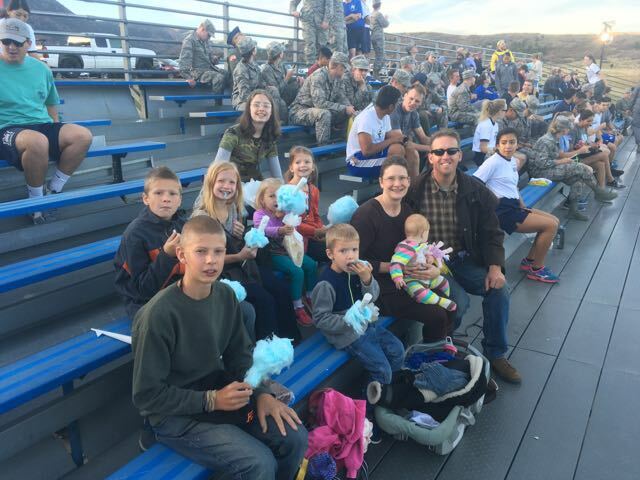 Make a Wish recently reached out to the Air Force Academy in hopes of making a little boy's wish come true. 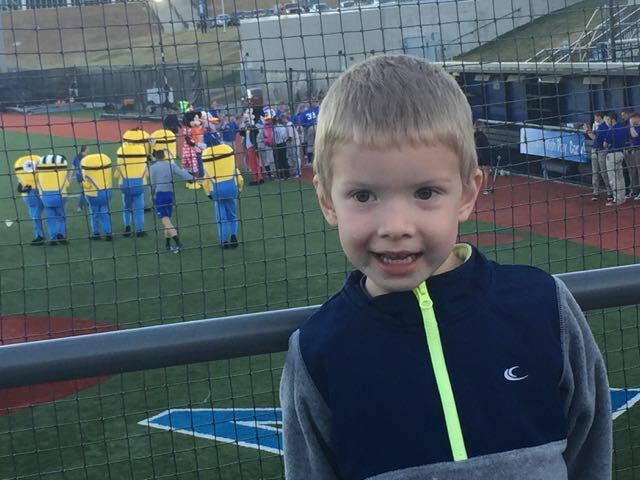 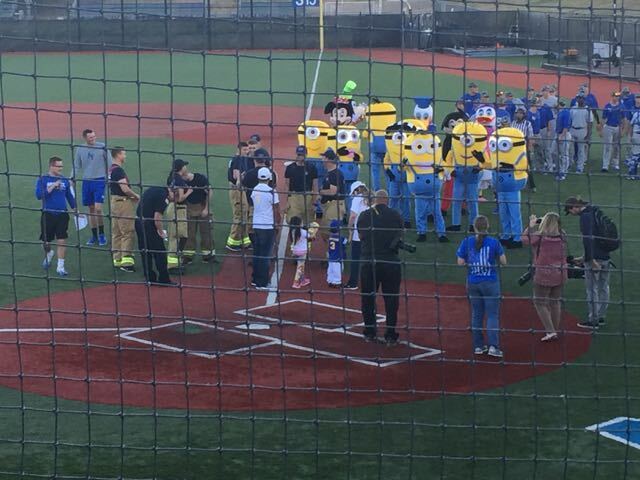 He wanted to be a part of a base ball game between firefighters and minions. 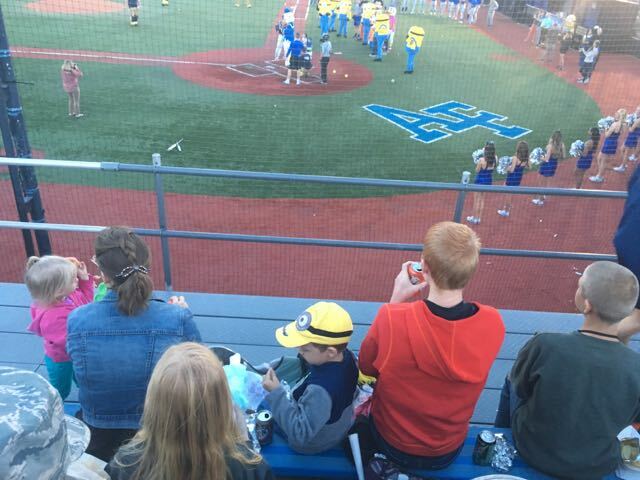 Part of the wish was that it be like a REAL game complete with cheering fans. 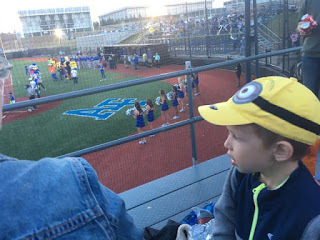 The Academy reached out to the cadets and faculty to make that part happen. 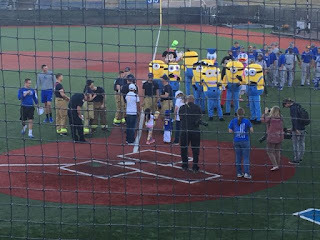 Our kids enjoyed the fun evening and we had the opportunity to talk to the kids about this great foundation and what a blessing it is to these sick and struggling children (as well as their families). We were very thankful for the opportunity to cheer this little guy on and we had so much fun doing it. Make a Wish was very generous to provide meals as well as popcorn and cotton candy.